Preventative maintenance is the best way to ensure your vehicle stays reliable, and lets you avoid major repairs as well as the expenses that come with them. At Joe's Garage, we provide a complete preventative maintenance program, and carry all the necessary parts and expertise to take care of the little jobs that let you avoid the big ones. Choose from a comprehensive range of the fluids, oils, filters, and belts that your vehicle needs to keep running happily and healthily. Relax while your ride is inspected by our highly-trained technicians, and rest assured that it'll keep running smoothly for miles and miles. The first part of our preventative maintenance program deals with your vehicle's fluids. Your car needs these fluids to keep running smoothly and prevent overheating. 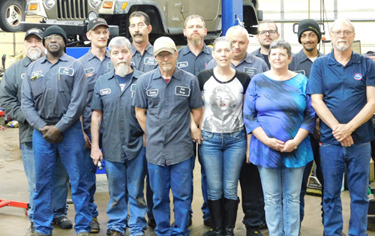 Most of our fluid change services are completed quickly so you can get back on the road in North Little Rock, AR. 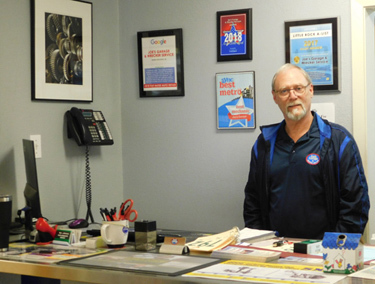 Our technicians are happy to monitor and refill your engine oil, automatic transmission fluid, brake fluid, anti-freeze, power steering and wiper fluids. We also perform checks on your radiator to ensure there are no small leaks caused by stones and other road debris. The next area of our program deals with the filters in your car. Whether filtering oil, fuel, or air, your car's engine and drivetrain rely on pure ingredients free from power-robbing particles. Your vehicle's fuel system, for example, wants only the purest gasoline or diesel. When microscopic particles build up in the system over time they reduce its efficiency and cause issues like decreased gas mileage. The same goes for your engine's air filter. An engine needs a mix of fuel and air to create combustion, and that can't happen if your motor can't breathe. Regularly changing your car's filters will prevent this from occurring. Joe's Garage will make sure all your car's filters are flowing smoothly and clear, as well as the often-overlooked cabin air filter which can make a huge difference in how pleasant a car is to be inside. Your car's timing belts are extremely important to examine during the course of preventative maintenance. There are a number of events that need to take place for one full revolution of your car's engine. These belts ensure that they all line up with each other, and occur at exactly the right moment. Should the belts become damaged or break, the events can fall out of sync and happen at the wrong time, which can be seriously detrimental to the health of your engine and your car overall. Joe's Garage ensures that all your car's belts are healthy, and that all of those events keep happening at exactly the right time. If you want Joe's Garage to make sure that your vehicle is well-equipped to continue transporting you safely for years to come, call us at 501-753-4685, or visit us in North Little Rock, AR so we can schedule a time to take a look at it!